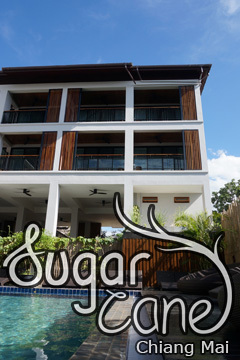 Diamond Residence - Chang Phuak, Chiang Mai, Thailand - Great discounted rates! The 2-star Diamond Residence offers comfort and convenience whether you're on business or holiday in Chiang Mai. Offering a variety of facilities and services, the hotel provides all you need for a good night's sleep. Daily housekeeping, 24-hour security, free Wi-Fi in all rooms, car park, laundry service are just some of the facilities on offer. Comfortable guestrooms ensure a good night's sleep with some rooms featuring facilities such as television LCD plasma screen, towels, internet access ?ÛÒ wireless, internet access ?ÛÒ wireless (complimentary), non smoking rooms. The hotel offers various recreational opportunities. Discover all Chiang Mai has to offer by making Diamond Residence your base. Diamond Residence - Chiang Mai classifies itself as a 2 star hotel.